As always, we’ll be at Anime Expo again this year, and bringing some great companies with us! In this post we’ll be showcasing them all! As we hinted at previously, we have three special guest companies coming to AX in addition to our usual lineup…and we think you’ll all be pleasantly surprised by who they are. First ones we have to announce are the regulars attendees are probably already familiar with and expecting to see again! I’m sure many of you reading this are already well aware of who Circus is, what with the Da Capo series and Suika being offered on our website already. But who will be coming with them this year? Well, that’s for another post. They’ve also made many games like Valkyrie Complex, Eternal Fantasy, and are currently working on new incarnations of both Da Capo and Suika. Last year, they brought the announcement of Da Capo 2 for the west, but what news will we be hearing from them this year? This year we’ll also be seeing Nexton joining our booth once again! Now, some of you may be wondering who Nexton is, but perhaps if we list their brands you’ll understand better: BaseSon, Tactics, Score, Liquid, Portion, Nomad, Lusterise, and Galactica! They’ve already worked with us to bring great games like Koihime Musou, Guilty, We Love Master, and many more to the west. Perhaps some of the other games in-progress from them will finally be unveiled at this year’s AX! And of course, OVERDRIVE would never miss it either! With Edelweiss, Kira Kira, and their respective fan discs released, only two remain unavailable to the West: DEARDROPS, which we’re currently working on as we speak, and Dengeki Strykers, a game which hasn’t even been released in Japan yet. What exciting news could they be bringing us this year? 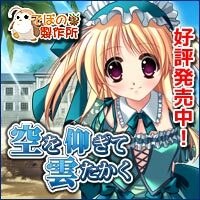 Debonosu Works is an eroge brand founded by Yamamoto Kazue after parting ways Studio e.go together with several other ex-e.go staff in March 2009. As one of those who founded Studio e.go, she’s worked on the artwork for every studio e.go game from its inception in 1998-99, and the staff who left to join Debonosu with her have worked on nearly all of them as well. Now, as Debonosu, these fine people continue their proud tradition of creating eroge with extensive interactivity. One of Debonosu’s representative works is Kagura Douchuuki, a Rogue-like RPG/Visual Novel featuring shrine maidens. In this game, much like in Diablo, you control one of three shrine maidens, exploring randomly generated forests, caves, dungeons, and more filled with a vast array of monsters, items, treasure. As you venture into the depths of these dungeons and rescue the women captured by the spirits within, the local town will recover, flourish, and provide you with new aid, but should you lose, you’ll find yourself at the mercy of said monsters, and in need of treatment post-haste. As the village grows, so too will the number of available quests, and enticing rewards. Their other flagship work, Sora wo aogite, Kumo takaku, combines RPG elements with a side-scrolling action battler plus Princess Maker style character-raising. Founded in 2008, Clochette is known for making games with great characters, sweet romances, stunning visuals, and highly enjoyable H-scenes. Their latest release, Kamikaze Explorer, was just recently released in Japan, and boasts full artwork and animation in 720p HD and character sprites that move more fluidly than in most other games. You can view the HD Opening Movie below. We hope you’ll join us in welcoming our visitors at AX! Should have brought minori so we could have grilled them on when to expect ef. Always looking forward to seeing the guest companies at AX! seems really nice, too bad I’m unable to attend. It has been mentioned on twitter that two new hard copy games will be at the con. Will these also be made available on J-List and Hendane, as was the case for Da Capo? Are we finally going to hear about this Circus game with gameplay we were promised? Could the exciting news from Ovedrive be that we’ll be getting Green Green as well? Too bad there’ll be no one from Navel. I think I heard that they wanted to bring over most of their lineup, but I’d be glad even if they confirm just Essence+ & Love Rainbow. It’s not that I have anything against Oretsuba, but I’m more of a SHUFFLE! fan personally. I suspect one of the two new hard copies to be the Edelweiss retranslation. That’s just my own suspicion, though. but on a more serious note, not to shabby. iv been considering going this year, now i think i will. Do you by any chance have information on shikishi details? That was literally the part about your booth integrated with the guests that I found most appealing. Well, instead of asking for specifics, I’ll just check back on exactly which members of each company will be attending. It would be cool to see Akisoba or someone who hasn’t previously attended along with the usual members. We’re still waiting for the final details on exactly which artists will be attending, but there most certainly will be artists again this year doing more shikishi. Choices…choices. Y’all are making it difficult as to whether I should spend the bulk of my time at Expo or AM2 this year. I looked at the various Nexton visual novels on the VNDB, and I didn’t find any of them personally interesting. I’m interested in the next Overdrive producs. Nothing from Navel,Key and TYPE-MOON?????? That said, I always keep my hopes up. Eushully would be nice but I doubt that will happen anytime soon. As for me, I’d love to see MG try to bring over Makura’s games. You should add the new game to the list and everything good by Akb2 has been translated. True, but Akabesoft2 also owns Akatsuki Works and I definitely want to see their games in english. Another company I’d love to get stuff from is Speed so we can get the Kansen series. Nope. Though I suppose I should have said Keroq since that is the parent brand. I’d also like to see Etude’s games brought over. Or maybe Palette’s. Is this the final line up? Was hoping age would show up again..pretty bummed out I missed out on them last year. Still will try to make it out to AX hopefully. Nope, there will be three other companies joining us that we’ll announce soon. Three? That makes at least 6. That’s quite exciting to know, kouryuu9. If I recall, there wasn’t really more than 7. If by less guests you meant one less guest … that’s not too bad. Wait nevermind I was thinking of companies. I’m really hoping for an AGE guest again this year! This is awesome. I really hope something comes of this. It’s nice to see AKABEiSOFT trying to interact with western fans. It’s a shame that I can’t go I’d love to meet them. I hope you strike a deal with Clochette. I’d love to play some of their games. I honestly didn’t expect Makura to come, it was only something I’d like to see. As for Navel I’m not sure why they didn’t come. It doesn’t bother me though since I don’t care for Navel all that much. Definitely need to see some Clochette licensing going on! Flyable heart and Ashita no Kimi to Au Tame ni. DEBONOSU. Now I regret not being able to go to Anime Expo…I hope they announce some US releases! You guys got Akabesoft2 to come along? This is excellent news! I really hope this leads to us getting both their games and Akatsuki Works’ games like Comyu (I wish the best of luck to whoever gets the job of translating that, whoever wrote the story is one of the wordiest writers I’ve ever come across). what days will you guys be attending? MangaGamer will be in attendance for all four days of the convention. Hell yes, Clochette. Suzunone Seven and Amatsu Misora ni plz. Wow, I really like the sound of Debonosu’s games. Hope they release some of them overseas. debonosu, clochette, akabeisoft,along with the usuals? My god why am I missing this? Those are some awesome companies and it would be great to see any of them deciding to release outside of japan. Wish I could go to the EXPO now.curses. Wow, I don’t look at this page for 5 days, and on June 3 the announcement was already made. Then, I think I’ll do the same thing and new news will pop up on the 9th, sweet. I’ll be blunt Kouryuu9, as soon as you said 3 companies (and mentioning before that previous guests Navel, phi-age, Overflow, Frontwing, and others weren’t re-attending), that pretty much guaranteed variety not previously seen. I lost count, but numerically, if less guests meant one less company, that’s not much of a dropoff. This is exciting and not all the news is out. Thus, this makes me particularly want to know when you’ll have updates on the exact artists and other members in attendance. More importantly, when is the panel? I’m guessing it would be Saturday evening, like last year, but I do want to make sure there’s little time conflict if any. I’m surprised to see Princess Maker even mentioned. Since art is the easiest to recognize at first glance, I guess Oshiki Hitoshi is likely to be in attendance. I’ll just wait for the future post for that along with other artists. 6 companies already guarantees a good number of people, so artist variety would also be high. I have a friend who is not in attendance who may want a shikishi, but there is a 1 shikishi limit per artist if I recall correctly, but I’ll check back on that later since every company had a different policy on things like photographs and whatnot. And kouryuu9, I would like to know if and when you’re personally at the booth. Last year I was notified that you were not present on the 2 days I was mostly around the booth and it would be nice to see you directly. Well, this year I will be in attendance for 4 days and be active on day 0, so something should work. Speaking of which, merchandise hasn’t even been remotely mentioned. I’ll just check back next week, and then the week after, and the one after that. This year Kouryuu’s a full fledged man-slave for Manga Gamer so he will be at the booth for the majority of the con. This seems off by a year. 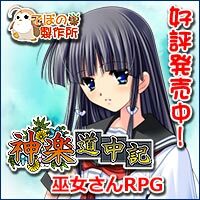 Kouryuu was the original Fan translator for “Soul Link” which was released 2009 by MangaGamer. So he should have met them 2009 at the cons. I think, 2010 he should have already been an official representative of MangaGamer? Kouryuu? I’ll also be running our Otakon booth again this year. We’re still waiting on information regarding which artists and guests will be in attendance, but once we know them you can expect an announcement soon. The same goes for our AX goodies. I only just got information on what Nexton and Overdrive will be bringing, but I’m still waiting on confirmation from the other companies. And yes, different companies have different policies on photography and shikishi, though the main reason for 1 shikishi per person was because those artists had more requests for shikishi than they had time to draw them. As for the panel, we just posted the time it should be held at on our Twitter feed. Would the update come here first or the tweet? I seem to timely miss the exact announcement, so I will look for a better news indicator. Well, it’s not like prices and the like are posted, but last year while the guest news was fantastic, the availability of each one were different and some things were instantly filled or sold out even before the 1st hour finishes. Also the exhibitors were definitely helpful, but there were definitely language barriers and I hope I don’t have to have them cringe from my fast talking. Unfortunately my Japanese didn’t improve an inch so this will be another challenge. The best way to get past the language barrier is to find Kouryuu first, then drag him around the entirety of Manga Gamer booth area and pick out all the swag that you want. Of course the Manga Gamer booth should also be the first spot you go to when the Dealer’s Room opens if you want the good stuff. Gaudy, considering that was the plan … I wanted to make sure that could be done. I would make a purchase much faster instead of taking 2 – 3 hours before deciding (budget wasn’t big). It also makes it much easier to know the policy. Like on the shikishi, you have control of the character you want to have drawn, but not what angle or other aesthetics are inputted. Although something like that is fairly obvious, what is not obvious that I pointed out last year is that the artist can definitely draw a character not located in their samples. That part I find very interesting but it takes a lot of tries to figure out who can draw what that isn’t sampled. Well, with the shikishi, how and what they draw is up to them in the end. If you know of a character they worked on that’s not shown in their samples, you can always ask. They may say no, but I don’t recall any of them refusing such a request. They’re just that: samples of what the artist can and is willing to draw. They’re not an exhaustive list. As for figuring out who can draw what, well, that’s a matter of looking up or knowing a little about the artist before hand, which is why we tried to provide as much information as we did in our blog post last year. I’ll be doing the same this year once I have confirmation on which artists will be there. I think the problem spawns when you don’t know of a character that they worked on. (Or, you know of the game, and you see one of the three artists of that game at the booth, but cannot figure out which character the artist drew despite asking). I guess this can be remedied by printing out a picture ahead of time. You’re correct that I never saw a decline on a character they did work on, but then when you don’t know if they are the original artist (as I quickly learned), then it was like guess and check. Anyways I realized this only happened because the two circus characters I wanted drawn the most when I got to the circus booth, the original artists weren’t in attendance, and I didn’t know who were the original artists when I was there at the time so I had to ask. Circus was an interesting experience because they have a number of different artists, and the two that were there were capable and willing to draw circus characters not originally drawn by them (I saw Suika characters). Communication was hard as it is, and asking about Saishuu Shiken Kujira character shikishi possibilities was like another barrier despite one of the three artists for that game being there it was more difficult to figure out who drew what character for that game on the spot (as opposed to a more recent game). I thought the possibility existed because of the Suika shikishi that were on the table. It wasn’t until after the con that I could actually distinguish artist names and link them with corresponding characters a little better. The samples are great, but there was also no real way to tell which characters not originally drawn by them can be drawn. Since one of the artists worked with La’Cryma, as stated on the description, I missed the opportunity for La’Cryma characters because I didn’t know the character’s name (and the original artist of said character wasn’t there either) but I’m very certain it was a doable shikishi (due to the game OP and the artist compability). The opportunity is rare as it is. Personally, I find it interesting when I see an artbook that shows images of the same character drawn by different artists. For that same reason, a shikishi of a character (probably a favorite one) not from the original artist is very nice. With the other companies it was easier to distinguish what can be done probably because the artist I was looking for that originally drew the character I wanted drawn was in attendance and the said game had all the main girls drawn by the same artist. This year I suppose this approach will work, but it will limit me in what else is at the booth that may be of interest that I might gloss over due to budget. Thanks for the tip Kouryuu. I’ll do my planning based on which guests are there then and ask accordingly. I simply wanted to lower my confusion and go in less circles so I don’t end up like, expending a long time asking a simple question where I didn’t even ask the question clearly. It really difficult when you don’t know the name of the artist or character you’re looking for (and yet it’s easy to tell with pictures). Originally, I didn’t even know how shikishi worked and I went to the booth seeing if it was possible to get one of the artists to draw my favorite VN character (which wasn’t possible). As you said, samples are just samples, so there exists characters that can be drawn that are not listed. For the artists’ pool of possibilities, if I’m thinking of just the company of the booth they’re sitting on, yes the character choices are not an exhaustive list. It’s can get exhaustive quickly when they’ve drawn for other companies though. I think I’ll just wait for more news to come out. It’s hard to prepare when guest news are coming out very near con time. Hope this year asking the exhibitors at the booth for assistance will be more smooth and easier on them and not have barriers be too burdensome. Ah, yeah, in Circus’s case it is interesting, because while the original Da Capo characters were drawn by Naru Nanao, their other artists have been in charge of drawing them for many of the newer games like Kotori Love ExP and the various fan discs. Not to mention that they do often have different artists in charge of different characters in a game. OVERDRVIE has kept one artist per game so far, or at least in terms of character design anyway. But yeah, that all depends on how the specific company handles their artwork. I know Navel had designs split between Nishimata Aoi and Suzuhira Hiro for Shuffle. Likewise, Koihime Musou has the character art split up practically by army between about 4 different main artists. As for just the company they’re sitting on, that may apply in terms of other eroge companies, but I know Frontwing’s artists did shikishi of Queen’s Blade and Bakemonogatari (Both series the respective artists had worked on) so it can be worth asking if they’re willing. We’ll try and have news up as soon as we can. Last year the guys from OVERDRIVE wouldn’t draw anything from Dengeki Stryker, but seeing how it’s being released in Japan prior to the convention, maybe this time, they will. There’s no way you could give us a sneak peak on those artists that have confirmed or those items that will be sold at your booth…? Please…? Being an avid fan of eroge/VN artwork, I must say that the shikishis sold at Manga Gamer’s booth last year was ridiculously awesome. Sadly, I was a little hesitant to buy them due to the price, and when I finally made up my mind after 2 hours, all the artists were packed with orders. As much as I’d love to attend AX this year as well (with Amoirsp, and yes, I am a friend of his he mentioned above), I’m not sure if I will to be honest. So far I haven’t really found any of the guests as appealing as last year’s (Macross F concert with Yoko Kanno, Mell, BENI). But it all really depends on the rest of the guests as the complete guest line-up hasn’t been announced yet. AX always announces all the core guests very late anyway. But even if the guests aren’t that great, if Manga Gamer brings good eroge artists (like last year! I still can’t believe I ended up getting no shikishi), then I’d attend AX just for the shikishis. I wouldn’t even think about the actual guests of honor; I mean, where else will I ever get hand-drawn, colored shikishis by the real artists (like Kuuchuu Yousai, Fumio, Watanabe Akio, etc)?